Well, this is mind-blowing, not to mention just completely adorable. 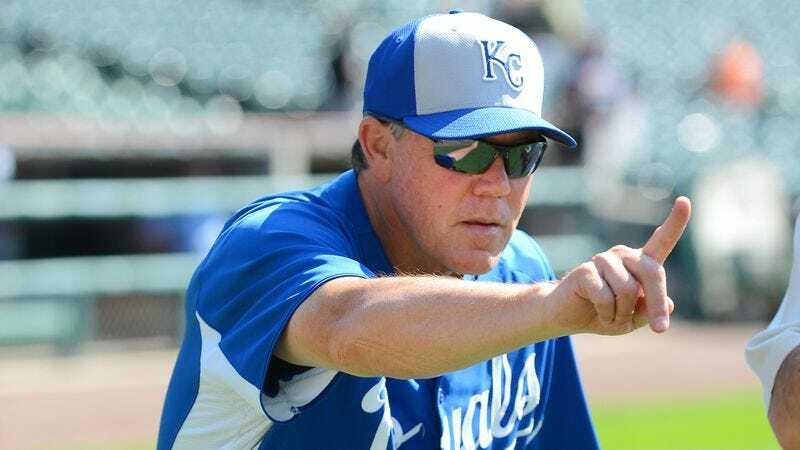 A team of primatologists at the University of Kansas have taught Ned, a North American baseball manager, to communicate with players using sign language! 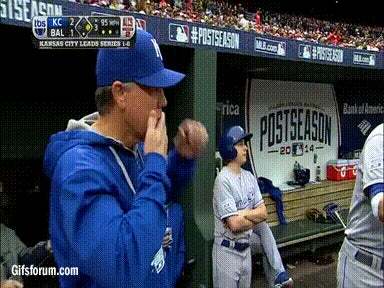 Check out Ned tapping his mouth, cheek, head, and forearm in rapid succession, gestures that lead researcher Kathleen Hess explained can have meanings as various as steal, sacrifice bunt, and curveball. Yup. He might not look it, but Ned is amazingly intelligent. And thanks to hundreds of hours of Pavlovian conditioning—in which Ned was rewarded with juice every time he correctly made a sign—this super-smart skipper now has a vocab of more than 40 distinct commands and requests. It’s the eighth inning of a tie game, and the Royals are up, two runners on, one out—a situation that Ned somehow knows calls for a hit-and-run play. His wise eyes glance up at the field. He catches the attention of his players and then, without uttering a word out loud, Ned speaks. Stunning. And if Ned can learn such a rich language, imagine what else will be possible as the frontiers of science expand. Might we one day teach sign language to baseball fans, baseball broadcasters…even baseballs themselves? Something to think about next time you attend a ballgame.